This policy is part of our commitment to protecting your privacy, while providing an exceptional Trader / Consumer experience. 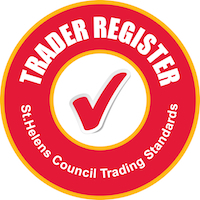 We collect personal information about you when you register with traderregister.org.uk, we ask you for details about yourself because we want to ensure that we recommend a trader that is specific to your exact requirements. We ask for as little information as possible in order to make it a quick and easy process. The information you give us isn't sold on to other companies and we are commitment to the security of your information. What information do I give you as a user of Traderregister.org.uk? During your session as a registered user we use a cookie to store an encoded version of your Traderrregister.org.uk information so that you can #access your Account. If you have cookies disabled on your browser you will not be able to use or log in as a registered user. What information do I give you as a Trader registered on Traderregister.org.uk? Registering your companiesâ€™ details enables us to add your business to the Traderregister.org.uk. Why do you need my e-mail address? We need your e-mail address to give you security. As a registered user, you have to enter a password to access your traderregister.org.uk account, no one else can access it and if you forget your password, we can e-mail a new random Password to you. We also use your e-mail address to confirm your account details. There's no way you can be identified as a result of your browsing activity on traderregister.org.uk. A cookie will typically contain the name of the domain from which the cookie has come, the "lifetime" of the cookie, and a value, usually a random number. Traderregister.org.uk uses two types of cookies. within registration to enable access to your account. within research surveys, to ensure you are not invited to complete a questionnaire too often or after you have already done so. If you don't want a cookie to be created on your PC, web browsers like Netscape Navigator and Microsoft Internet Explorer provide the option to disable them. However, you may not be able to take advantage of the full functionality of our website if you do. Will Taderregister.org.uk. disclose information about me to other parties? No, traderregister.org.uk does not sell user information to other companies. Yes. We take the security of your personal data extremely seriously. We have technology and security policies designed to protect the personal data under our control. We also follow strict security procedures as required by the UK Data Protection Act 1998. These cover the storage and disclosure of any information you've provided, and the prevention of unauthorised access. Can anybody else who's using Traderregister.org.uk. access my personal details? No. All personal information given to traderregister.org.uk is secured and stored away from public access. Is my information available to Traderregister.org.uk providers? Yes. If you want to look at or update any of your information, you can access all the details you provided us with when you registered. You can change or delete anything at any time.